The coating is a great ally when it comes to wrapping a particular surface with a layer of material or paint that can contribute to its decoration. 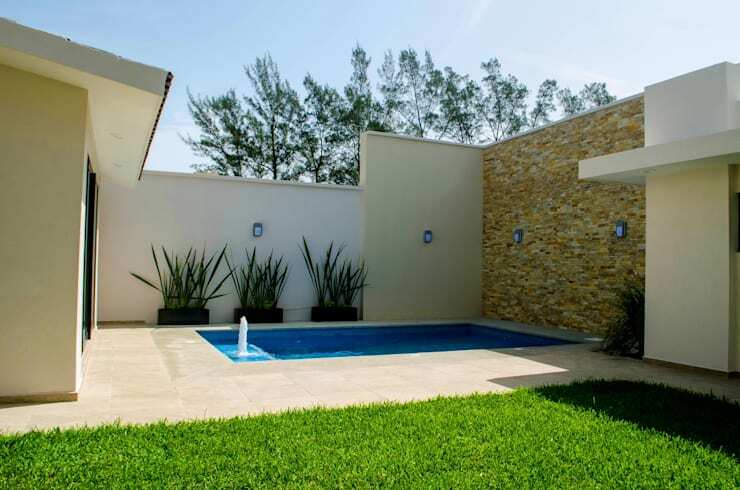 Among the different varieties for outdoor areas, we find in the decoration surfaces worked in natural or artificial stone, cement, plaster, treated wood and even ceramic. However, some materials seem to have higher affinity with the exterior, and this is the case with stones. Having a facade or exterior stone wall as a constructive element of decoration and protection gives a warm and natural feel to the house. Also for those looking for cheaper options, but not weak ones, some coatings can even simulate stones. 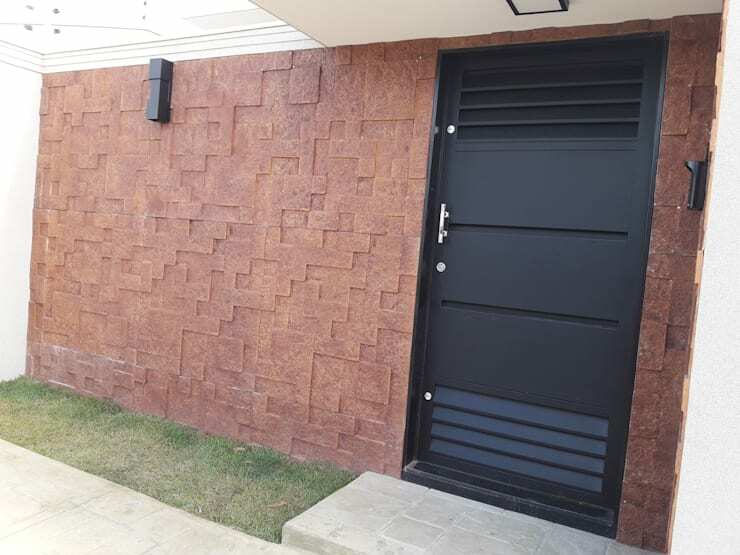 We invite you to check this article with 13 beautiful wall coating ideas so that you can evaluate the different options and realize the importance of the external coverings. Here we see an outside room with beautiful coverings and textures. 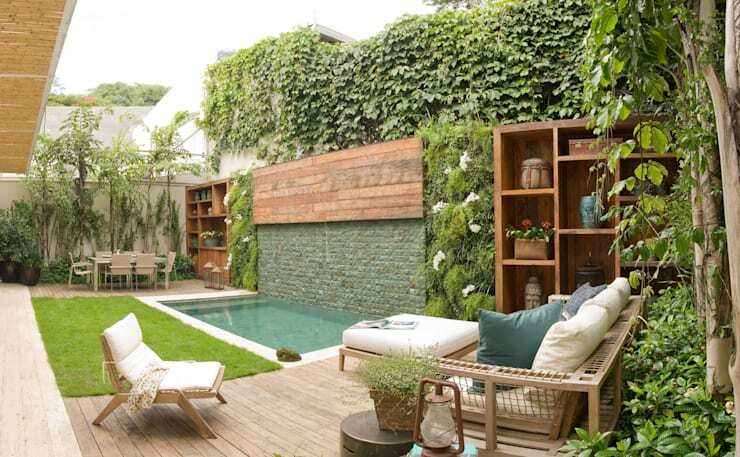 They include the use of wood, a swimming pool and lots of vegetation. Also, most of the area is covered by creepers. 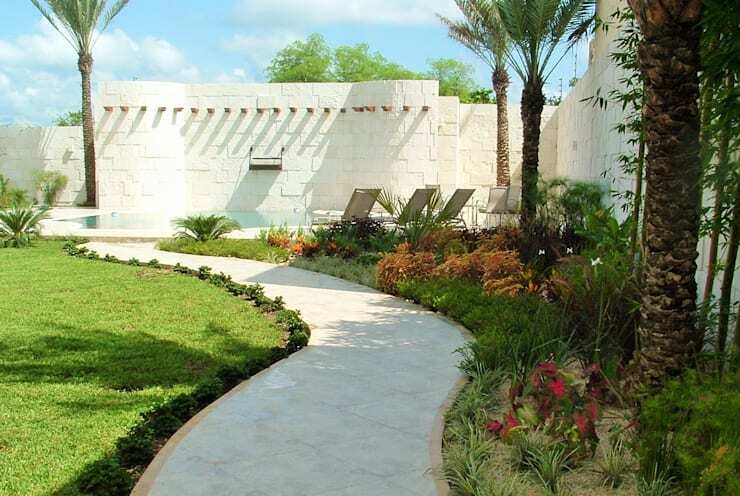 The courtyard is filled with green, in different sizes, accompanying coverings between natural stone, ceramic and wood. A stone-clad wall leads us to the universe that gives life and rebirth, transforming the outer environment into a stage. On the pool wall, it makes, even more, sense and harmonizes nicely with the garden. This material is versatile, and its appearance is always a surprise. 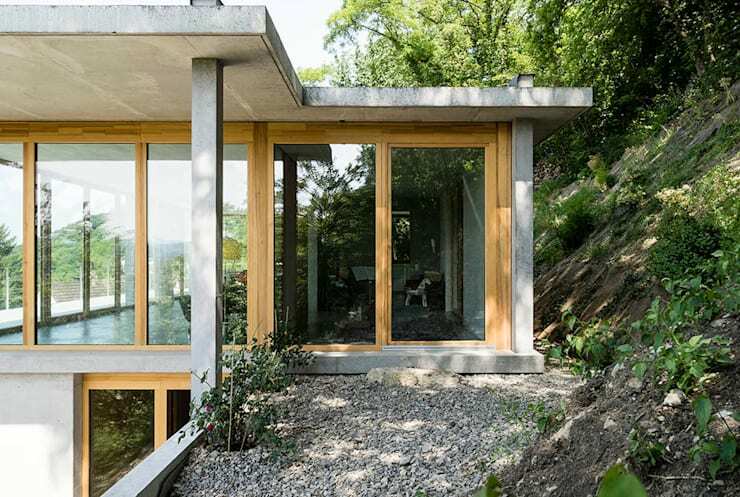 In this case, we are not only referring to the cement that covers the structure of the house, but also to the beautiful finish of the surfaces in light tones. 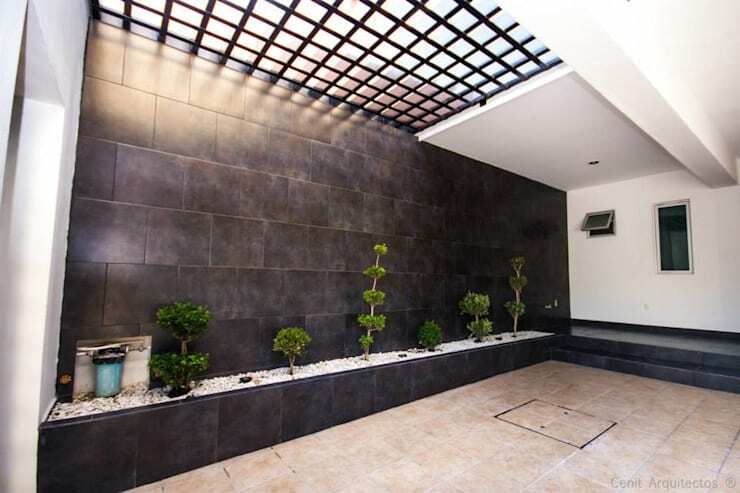 Ceramic tiles can also be used on the outer walls. They are excellent for creating a Mediterranean style. This idea allows replicating the wishes of its owners abroad. What you see is a facade with exterior cladding on slate boards. It is a mysterious natural material, which is solemn and impressive, especially if you combine it with an excellent architectural aesthetic. Slate can be found in various shapes and sizes, ensuring beautiful results. This is a rustic coating, made by placing layers of paint obtained from various mixtures of binding agents, which can be colored or neutral. The texture has a dual function which is providing aesthetics to the facade and also protection. Also, it is waterproof and very resistant. Wooden coatings can be either natural or synthetic. But rustically laid wooden boards have been seen more and more. The pieces can be treated and painted with anti-insect and antifungal treatments. 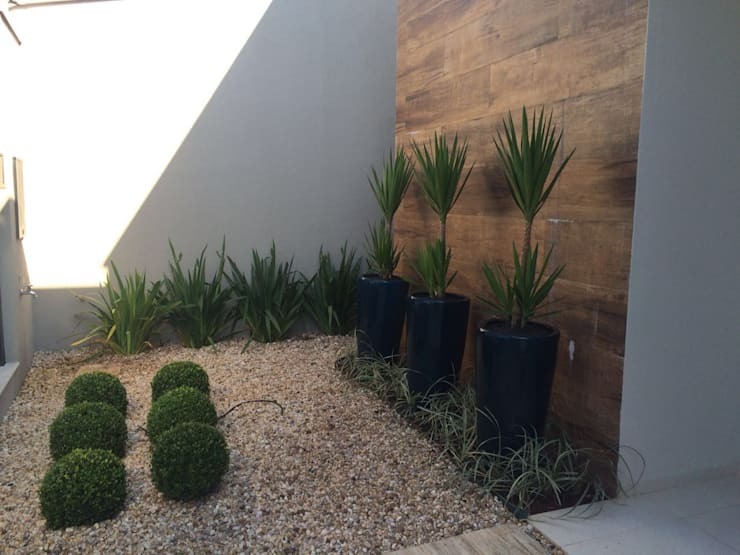 They are beautiful and add nature to an outside that does not have much vegetation. 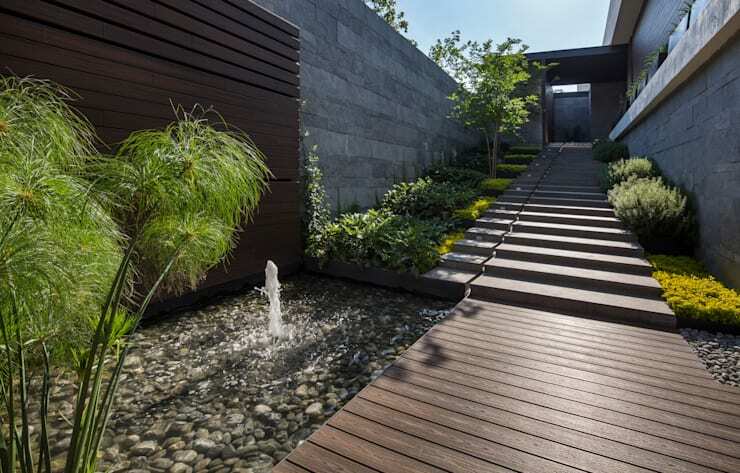 With painted and polished wooden slats, one reaches a remarkable artistic coating. With equally sized wooden slats were created vertical and horizontal frames, thus causing an exciting design for the external area. 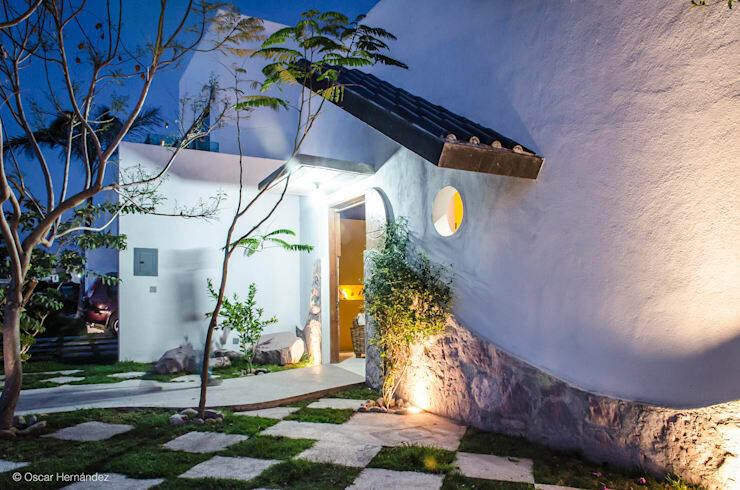 Here a white stone facade has been created using big boulders. The color of the facade allows it to complement the rest of the decor. 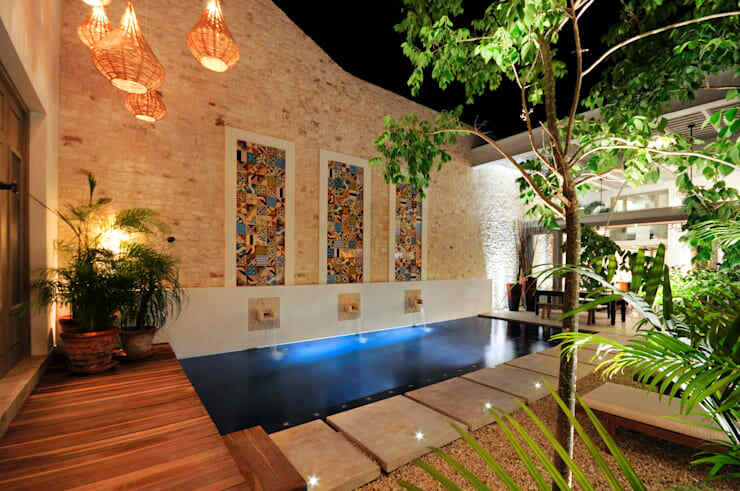 Stone or ceramic tiles look beautiful in a rustic external atmosphere. 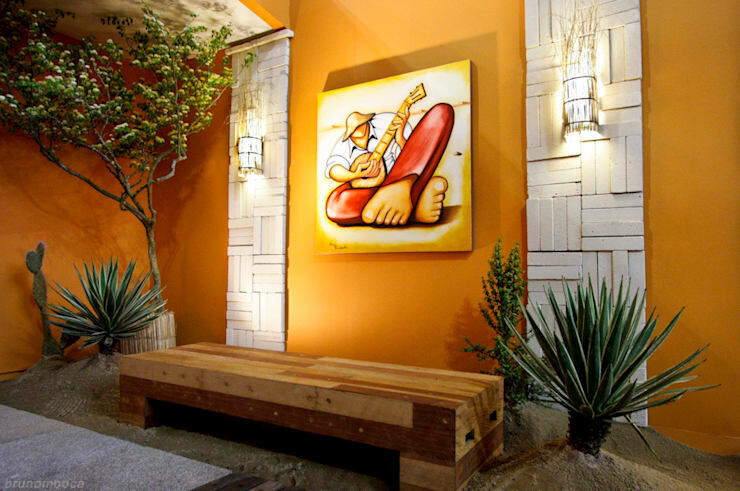 This design also includes colorful tiles that enriched the result of the wall. 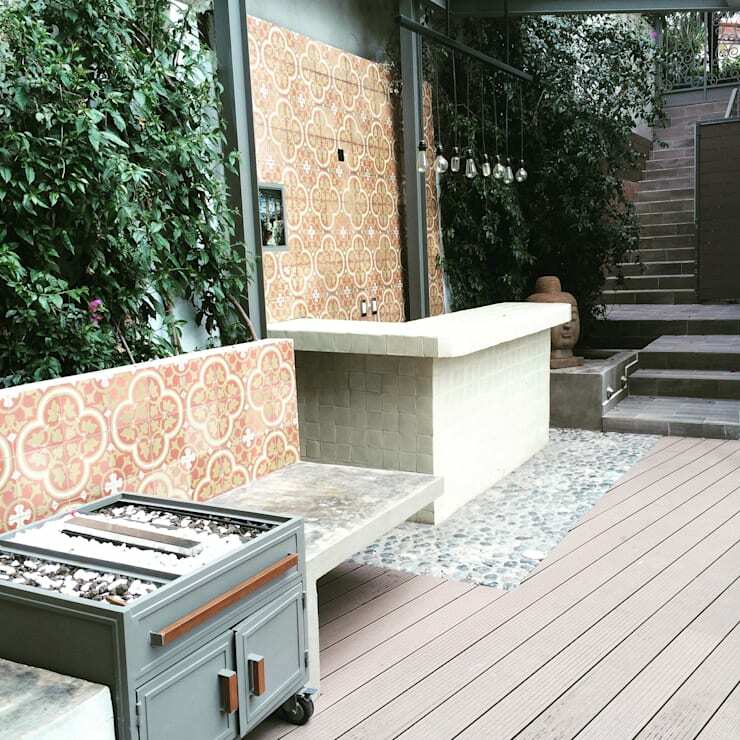 The warm color combination has created an entirely welcoming backyard. The work of external surfaces must take into account the type of material chosen and the aesthetics that one wishes to achieve. When combining stone and wood, the result can be rich, modern and intriguing. Although we find many stones in light colors ranging from off-white, brown to gray. But there are also dark shades that simulate marble in texture. Enjoy your stains as a lovely print to adorn the walls. Believe it or not, this is a three-dimensional coating done through panels. These panels come with different models and specifications, making them perfect for places with high moisture and sunlight. Which wall coating idea do you think would be the most appropriate choice for your house?